The British army is shattered, defeat snatched from the jaws of victory by subterfuge and betrayal. Caradoc flees the battlefield, the crown heavy on his head and his heart set on retribution. He has to make hard decisions and tough compromises, but with the sovereignty of Britain at stake, personal pride sometimes has to take second place. Emperor Claudius is determined to make as much political mileage as possible out of the Roman victory in an attempt to consolidate his own position. That doesn’t sit well with the Roman military, who have their own objectives and who will do whatever it takes to achieve them. As the Romans consolidate their gains and begin to push west, Caradoc finds he has few friends left. He must turn to the Durotriges, a wild, hill fort dwelling tribe. But the Durotriges are riven by strife and petty squabbles. Aulus Plautius, commander of the Roman army, brings his siege weapons to bear, can Caradoc resist the onslaught? Ok. So here we are trust back into the war between the British and Roman armies. During the first book we learn of a battle which turned out to be a major win for the Romans due to the divided loyalties of the British tribes at the time. This book continues on after book one and we are back we one of my favourite characters Fionn and the action is pretty much non-stop in this fast moving tale. In the first book I really liked Caradoc but in this book you see a different side to the man. He becomes blinded by revenge and we see Fionn and his friends struggle to see eye to eye with his decisions. Fionn has his own demons in this book too.. I’m not saying too much as it would spoil it for you. While Caradoc has his mind set firmly on revenge Fionn wants to hit back at the Romans so this book mainly focuses on the period where they are trying to gather support from the other tribes. Needless to say things do not go Fionn’s way. 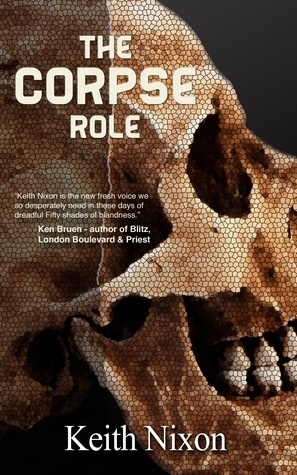 Keith has written an excellent follow up book which he clearly researched well. I think it’s always hard to get the flow right between two books but the transition is seamless and it felt as if I’d never but the first book down. There were some great additions to the characters in this one which made the book feel fresh but you also had a lot of detail given to some of the characters from the first book which gave them more depth. I particularly enjoyed reading anything involving Anatolius. If you are a fan of the genre this series is a must! Here’s hoping Keith writes Caradoc #3 soon!